The Robot Shuttle is a six-seat self-driving bus that goes 10 kph (6 mph). Japan is bringing autonomous vehicle technology to rural areas of the country where a majority of the population is over the age of 65. Nishikata, Japan, 115 km (71 miles) from the capital of Tokyo, is one such area. Roughly one-third of its small population ofvc 6,300 people are elderly, and with limited buses and bus drivers, it can be difficult for these residents to get around. 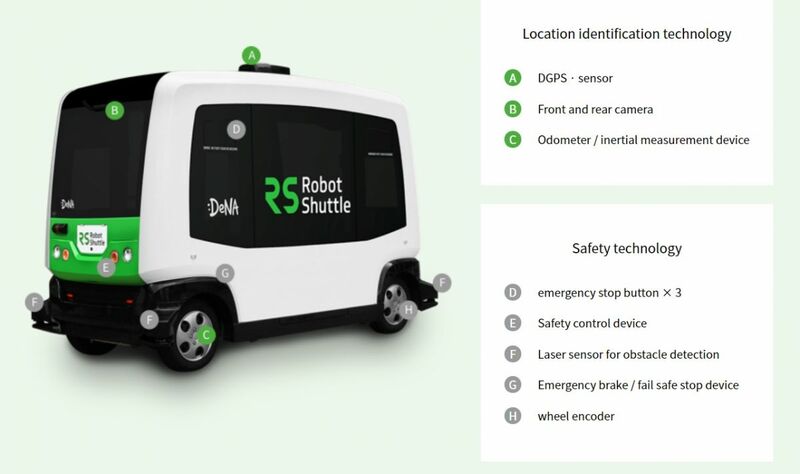 Enter the Robot Shuttle, a six-seat driverless bus from game developer DeNA Co, which recently entered the world of self-driving vehicles. During the initial testing, which began in September, the bus transported people from a service area to a municipal complex with healthcare services. As reported by Reuters, the bus goes a slow and steady 10 kph (6 mph), though some test participants would like to see it go faster and reach speeds of 40 kph (25 mph). It’s an understandable request — if someone has a desire to get somewhere quickly, such as a hospital, 10 kph wouldn’t be nearly fast enough. We typically think of self-driving cars as only being used in cities and autonomous driving services as only being used by a younger population. DeNA Co’s testing is proving that the concept can be used by more than this small, young population, even potentially being more beneficial to the elderly. One test rider, Shizu Yuzawa, 77, said she’d be open to using services like the Robot Shuttle in the future. She explained that she worries about being unable to travel when she can no longer drive. The bus is also being tested under various road conditions, and to see how people crossing in front of the vehicle react to its warning signal. Depending on the results of these tests, Japan’s government will convert highway rest stops into hubs that elderly residents can be picked up from. One day they may be able to use the service to travel to medical, retail and banking destinations. Iwelll goes will, additional self-driving services could be launched in other rural communities by 2020.